Driving an older vehicle, now and then, we run into some RV repairs while on the road. 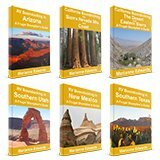 In 9 years of travel we have, however, had more good than bad experiences. In fact one particularly good experience at Herman's Automatic Transmission Shop in Tucson, Arizona has become a story I tell often. 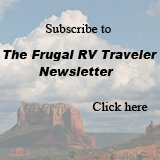 Are you concerned about leaving on a long trip with an older RV? If you've bought a used RV for your trip, drive it around home territory for at least 2 months to be sure you're comfortable with it. Try out all of it's features. Tell your trusted, home territory mechanic of your travel plans and have him check all the mechanical aspects of the vehicle. An adequate roadside assistance plan. If you already have a roadside assistance plan, review it's coverage. AAA, or the Canadian equivalent - CAA, are the most well known roadside assistance insurance plans. There are others. If you don't have any plan, buy one before leaving home. I don't normally promote insurance plans, but in this case, especially if you're driving an older vehicle, a plan will let you relax and enjoy the adventure side of traveling into remote areas. You can't predict or prevent a breakdown, but for a few dollars, ($100.00 to $150.00 per year average), you can feel confident driving into "the boonies" without worrying about adding an exorbitant towing charge to the RV repairs bill. If you already have such a plan, be sure that it includes your RV. Some plans insure the vehicle, some the driver. With AAA or CAA, there are different plan levels to insure a car or a larger vehicle such as an RV. You may need to increase your coverage to be sure you're covered for at least 100 to 200 miles of towing. This may sound like a lot, but in some areas, that's how far it will be to a licensed mechanic, or if necessary, to the nearest dealership for warranty-covered work. I like to call roadside assistance plans "stupidity insurance." Such things as running out of gas, locking your keys in the car, leaving the lights on, and not knowing how to change a flat tire are all covered. Besides covering stupidity, (and I'll be the first to admit I've had to make a few such claims,) here are some of the other benefits to this insurance. Your premium doesn't go up if you use the insurance. Using it only once can often save you the entire premium cost. There is no paperwork or claim to file. If you have the insurance, you don't have to pay up front and wait for a refund. Know and use free resources while traveling. This manual could help you diagnose a problem. If you are not mechanically minded yourself, it can help the fellow RVer you meet, who is mechanical and willing to help with your RV repairs, but is not familiar with your particular vehicle. Fellow RVers are usually very able, willing, and eager to help diagnose, fix the problem, or suggest a nearby repair facility they have used. The staff at auto parts stores such as Auto Zone, Checkers, and Napa are often a great source of information. Often they can help you figure out what the problem is and if you do need to go to a repair shop, they can often recommend a good local mechanic. 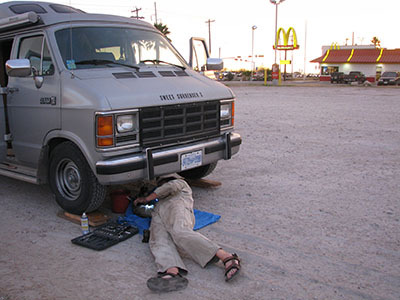 Here's Randy when he changed our fuel filter in Del Rio last month. Of course, there are many aspects to a motorhome that fall outside of the realm of regular vehicle mechanics. You can save a lot of money by doing your own RV repairs when it comes to these areas of your motorhome. Take advantage of free advice from an experienced RV technician. Consult Money Saving RV Repair where Robbie Warford, an RV service technician of over 30 years, shares his expert advice for maintenance and common RV repairs.You can even email him concerning your particular problem. If you are someone that's pretty handy with tools and do some of your own mechanical work, you'll know what to bring. If not, here's a list of suggested tools to carry. It's what we carry on our trips. Other than the jack and jack stands, most of these will fit into one medium sized tool box. Available at auto parts, hardware stores, or Home Depot and Canadian Tire,	the kit should include: several sizes of sockets, wrenches, ratchets, different types of pliers, and screwdrivers. Randy is handy with tools, but he's not a mechanic. If he can figure out what the problem is, often he can also fix it himself... but not if we don't have the tools. Now, I can hear you asking, "That's fine if you're handy, but why should I carry these tools if I don't know how to use them?" If you should have a break-down in a remote area and you can't fix it yourself but happen to run into someone (like Randy) who can, he (or she) will need tools. If he doesn't have them handy, your tools and his know-how may solve the problem. And, if he's like Randy, often your RV repairs can be done for the price of a few beers! Whenever possible, deal with a privately owned repair shop. To get the best service at the best price, whenever possible, seek out a small privately owned shop for your RV repairs. In our travels, we've never had a bad experience with privately owned shops. In fact, we've always been impressed with the service and the cost. Although we've had similar experiences in small shops around the country, our transmission repair at Herman's Automatic Transmission in Tucson deserves special mention. The customer service we experienced was so far beyond the ordinary, that even 2 years later, we want to give Herman and Rick a special recommendation. In a privately owned shop, you're apt to be dealing directly with the owner. He can make decisions that paid staff in other larger operations can't make, such as not charging you the full shop time, or allowing you to purchase the part directly from the auto parts store, rather than through the shop which often includes a mark-up in price. The only negative RV repairs experience we've ever had on our travels was with a dealership. And I doubt this is the first time you've ever heard that said! Of course, if your repair is on a newer vehicle and falls under warranty, you'll need to seek out the dealership for the repair. In case of a major repair, you may need to seek out a motel and rent a vehicle until you can get back on the road. I guess the final piece of advice to put your mind at ease about RV repairs on the road, is to suggest that you carry a credit card with a large enough limit to handle any type of emergency. Even with a new vehicle, you could run into a repair as the result of damage or unforeseen circumstances. Having a newer RV doesn't always mean you'll be better off. In fact, many new vehicle warranties and RV manufacturers' warranties are not honored across the Canadian/USA border. A: the money you have in the bank, (to pay off that credit card,) that you wouldn't have if you had bought a new vehicle. And B: the trip you're enjoying now instead of years from now, had you decided to wait until you could afford a new vehicle. One last thing to keep in mind concerning RV repairs: There's no advantage in worrying. Instead, be as prepared as you can be and realize you'll somehow figure out how to deal with each incident as it comes up. From our personal experience, most often, you'll end up with just another positive travel experience to talk about later.